Heavy rains greeted riders in New Zealand for the final round of the two-round Oceanic Supercross Championship. Conditions looked bleak as the track crew worked diligently to protect the purpose built Supercross track from an unrelenting downpour. 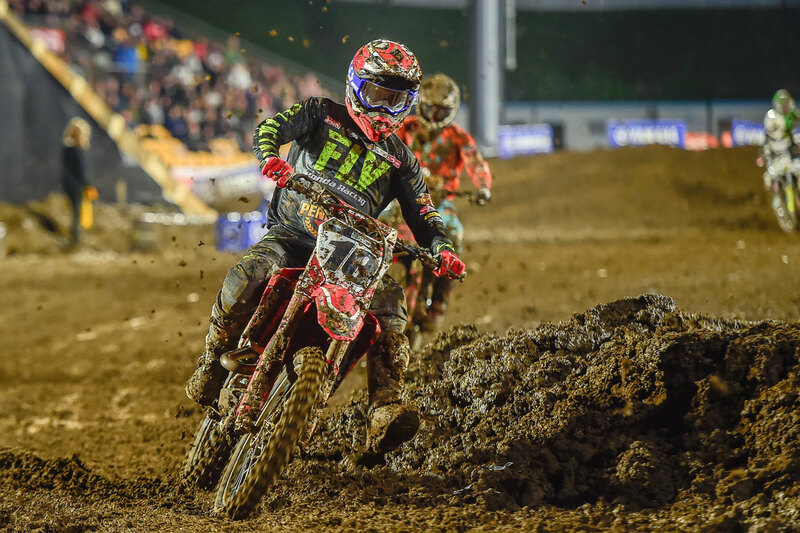 “I turned up on Friday and the track looked amazing, the best in the series and I was extremely excited, but the weather was intense and many were concerned about how it would hold up with all the rain,” said Brayton. To ensure the track was in a premium racing condition, the race day schedule was changed to allow the track builders time to fix the waterlogged track. The conditions made it tricky and starts became even more important than normal. “Starts were everything on the night and unfortunately I crashed in the qualifier and that made it difficult for me as I ended up with an unfavourable gate pick for the three finals,” explained Brayton. Brayton crashed in race one after colliding with Hansen and in race two he suffered from a poor start. 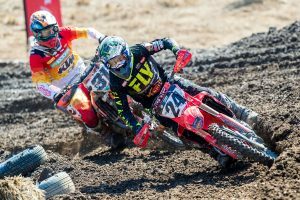 In the third and final race, he gated well and scored a 2nd, which resulted in enough points for him to claim 3rd overall in the inaugural Oceanic Supercross Championship. “It’s not how I hoped to finish but that’s racing. The crowd and fans in New Zealand were awesome as they braved the weather. I want to thank everyone for giving me this opportunity, Honda is one big family and everyone from Honda Australia and Honda New Zealand have been super supportive,” concluded Brayton. The three times Australian Supercross Champion still has two international events to compete in and everyone from Honda Australia and Penrite wish him all the success and thank him for his outstanding achievements this year. Yarrive Konsky, director of Penrite Honda Racing expressed his appreciation for the ultimate professionalism with which Brayton conducts himself; “Justin is a consummate professional and we are proud to be associated with him. His race results are remarkable, when all things are considered and the adversities he faced this year, his sheer determination is inspiring. 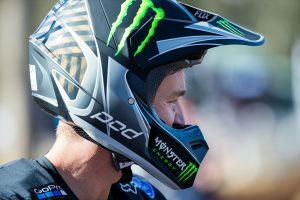 We wish him the best in his remaining races this year as well as the AMA Supercross Championship next year.” Konsky concluded.